A powerful storm threatens to thrash the tri-state with howling winds and more than a foot of snow amid potentially blizzard-like conditions Friday into Saturday, making travel treacherous and complicating the commute home at the end of the work week. The latest models predict Long Island could bear the worst in the metro area, with as much as 20 inches from Friday morning when light snow begins to Saturday afternoon when the storm moves out. All of New York City and Long Island are under a blizzard warning from 6 a.m. Friday to 1 p.m. Saturday, along with parts of New Jersey and southern Westchester County, the National Weather Service said. That serves as an alert for residents to expect heavy snow and high winds -- possibly dangerous conditions. New York City and the Hudson Valley are forecast to get 10 to 15 inches, while interior New Jersey is likely to see slightly less, anywhere from 5 to 10 inches. New Jersey's I-95 corridor may get the biggest break, with 3 to 5 inches forecast by the latest models. Winds throughout the region could reach 60 mph. Storm Team 4 warns tri-staters not to be fooled when they see rain on Friday. The storm will rapidly intensify off the coast, and cold air will quickly change the rain to snow in the afternoon and evening. Through the night, snow has the potential to fall at an extremely heavy rate, as fast as 2-3 inches per hour. In New York City, snow showers have already begun, and light snow is expected to increase in the late morning. The snow will change to rain for part of the day, and mix again with snow later in the afternoon and evening. The evening commute will be slow and slippery, and state officials warned commuters to stay home from work Friday or try to leave work early. Snow becomes heavy from 6 p.m. on, and blizzard conditions are expected through the night. Overnight Friday, expect heavy snow and strong winds, with the storm winding down by Saturday morning and pulling away in the afternoon. 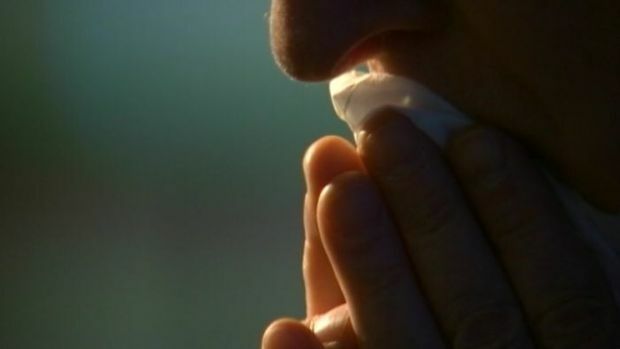 It's cold and flu season, and that has many Americans staying in their homes. Jim Forman reports on remedies to make you feel better. Mayor Bloomberg, who has a spotty record on clearing snow after storms, has issued a severe weather advisory warning drivers to stay off the roads as much as possible and to use public transportation when they can. Alternate side parking is suspended citywide through Sunday. Bloomberg said workers were readying plows and salt and announced crews would be put on longer shifts. New York City government offices and public schools will be open Friday, Bloomberg said, though afterschool programs are subject to cancellation. Days After Storm, NYC Residents Demand Action. The MTA was preparing for the storm Thursday night, putting chains on bus tires and spraying de-icing agent on train tracks, but officials say there could be service disruptions when the storm hits. Check mta.info for the latest updates. Both the Metro-North and the Long Island Rail Road will deploy extra trains in the early afternoon in an effort to get commuters out of the city early. The Metro-North will then reduce service during the evening rush. The Staten Island Ferry is operating on a modified schedule beginning Friday afternoon. Amtrak is reducing service Friday, particularly on the Acela between New York and Boston. If you live in New York City, go here during the storm to track the progress of snow plows on your street. On Long Island, Nassau County officials said crews would pre-treat roads before the precipitation begins on Friday. Warming centers will also be open for the homeless and for Sandy victims still struggling without basic services. In Connecticut, Gov. Dannel Malloy is asked nonessential state employees to stay home before the storm. Evening and midnight shift employees should report to work as normal. Power outages are also possible with this storm. National Grid, which runs the Long Island Power Authority's systems, warned customers to expect blackouts. 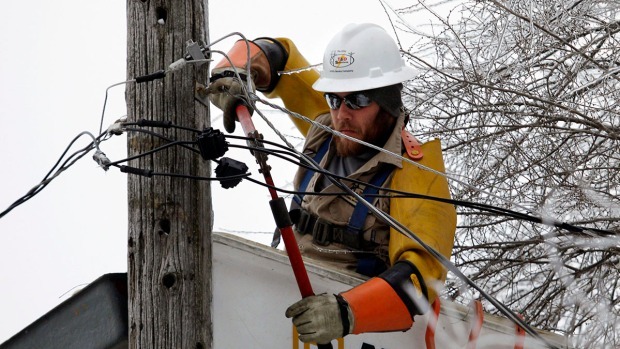 National Grid said as many as 100,000 customers could lose power, and said it was bringing in extra line crews and support personnel to prepare. Officials throughout the area say the timing of the storm on a Friday night into Saturday helps because there will be fewer cars on the roads. Travelers who do venture out can expect major disruptions on roads and at airports; airlines on Thursday had already canceled hundreds of flights for Friday. Get all the latest Storm Team 4 forecasts here.